Huawei has been manufacturing mobile phones since 1997 with consumers all around the globe. The Chinese telecommunications equipment maker has been creating waves in the international market with incredible products and controversial news as well. Cellphones, as well as Huawei parts, are world renowned and much in demand. Ranked as the third highest smartphone maker around the world it is not only producing high-quality phones but also adds remarkable features that can rival the trending phones by Apple, Google, Samsung, and even one plus. However, all good packages come at a price and with the Chinese company it is the glitches and flaws though repairable but manages to bug the user. We thought if you are the proud owner of a Huawei cellphone a few tips to repair common issues would come handy. 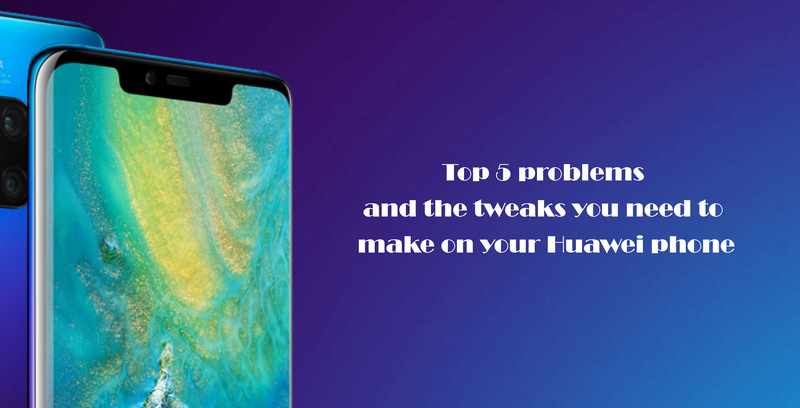 Our list of top five fixes shall save you the pain and hours spent on searching troubleshoot solutions or know the Huawei repair parts to fix the problem. No need to shy away from buying one but knowing the tricks shall keep you prepared and confident too.